SIMPUBS – a British company licensed to sell SPI games in the UK. Originally SPI/UK in 1974, and moving only a few games, by the end of 1975 fiscal year (March 31, 1976) they had sold 25,000 SPI games in the UK! With this higher volume, it could no longer remain a one man band, and on June 1, 1976, the company incorporated to become SIMPUBS, LTD. This occasion prompted two more changes as well - the launch of The Phoenix magazine, dated June/ July 1976, which replaced the SPUK newsletter that SPI/UK had used to unite its customers, and the intension to test a new method to get games to the UK customers. Tariff laws, shipping costs, and TIME were all limiting factors in the growth of SPI/UK. Getting the games SHIPPED from New York to England came with a multitude of problems, and cost was not the only one. Costs to prioritize the shipping would jack up the prices, so the shipments could be bumped from the shipping schedule, and induce maddening delays. Plus, SPI themselves were never known for meeting deadlines, so that, too, would play hell with any effort to schedule a shipment. With high shipping costs and long time constraints, SPI/UK reached a deal with SPI in 1976 to print the games in the UK, thus saving boatloads of money and time (pun intended). "For the past two years I have toyed with the idea of printing SPI standard games in the UK," wrote J.D. Bardsley in the introductory column. "By way of trial I intend to print 'Sinai', 'Seelowe', and 'Normandy' in June /July of this year." Printing seemed like a reasonable choice, and a natural one. By issue 2 of The Phoenix, Bradsley announced that initial feedback preorder expectations were high enough to plan for 12 games to be printed! 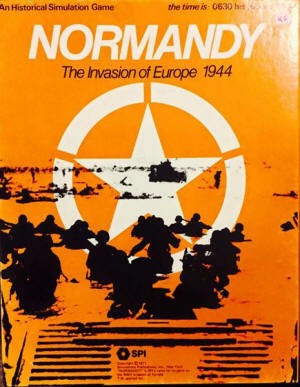 The original idea had been to focus on older games but already beckoning was a way to overcome the madness produced by lengthy delays between announced new games and their slow shipping reality: to produce new games from the original negatives from SPI at the same time SPI was printing them in New York! Mail could bring the negatives via air. It all made prefect sense. But all of these plans were laid before the first experiment was produced. The learning curve on the part of printers proved to be a major headache. Color saturations were one issue – SPI had recently made the move to 4 color maps – but a much more difficult problem to solve was the problem with die cut counters. Printers in England over promised and under delivered. Counters were generally FAR thinner, and of course, the perennial complaint of backs of counters not fitting within the die cut. Vexing was a word for it, but it had to be maddening SIMPUBS. All of the trials SPI had experienced in their early years had to be re-learned in Britain. The difference is SPI learned them in NY when expectations were far lower, as SPI was then a small startup company. UK gamers had purchased SPI games from SIMPUBS the previous year, and expected to have the same quality game in their hands - and the early games had problems. The good news is the sales exceeded expectations - so the experiment would continue! But so would the difficulties, including a great deal of pain with printers that had no real concept of what they were trying to produce. But by the end, SIMPUBS would continue to sell games produced in New York, while producing the current games in the UK, thus cutting the 'wait time' for their customers. That would fall by the wayside at the end of the first two years, as the upheavals inside SPI/New York would make the deadlines impossible to meet. 1976 SPIUK announced their intention to start printing SPI games in the UK, and did publish 3 in 1976. By the end of the year 1977, plans for doing newly released games were dropped since SPI’s own schedule caused endless delays. These four quads do get published in the UK, but not certain of which month. 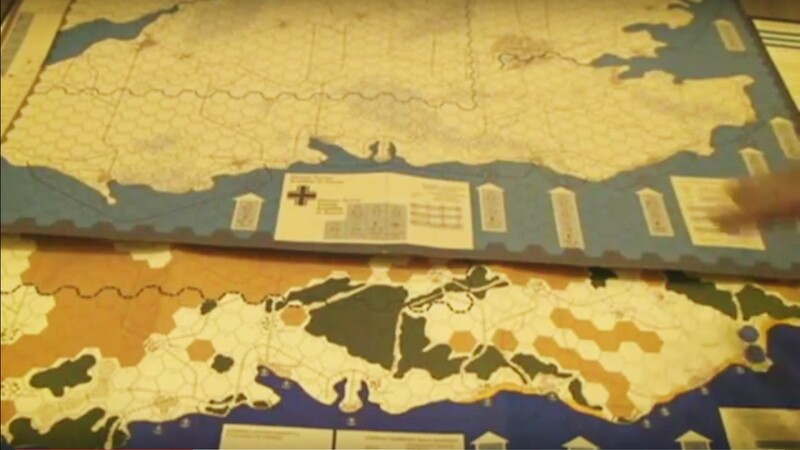 Announced the re-worked version of Normandy – new map, new rules, same counters. UK Games micro packages – offered in Z pack, but with the extra fold to appeal to the market that wanted the small games being popularized by Steve Jackson / Microgames. The result of the smaller games was the addition of only three more games to the list. While I have no PROOF, I believe these were released in 1” boxes in the UK. Part of that proof is the pricing: They sell SPI produced zipack games at 3.95 (pounds) but UK produced ziplock for 2.95. They sell UK produced boxed games for a pound less than the SPI version as well. These are a pound less than the smaller boxed games, but a pound more than a zip-pack folio. FYI - decades later, a missing puzzle piece would drop. Photos of the recovery from the original storage area of the SIMPUBS warehouse in 2019. Likely 10,000 parts and some whole games were still be there, moldering, awaiting a change of location, and perhaps a change in fortunes. In some pictures, we see the tempting treasures of a boxed Mech War '77, or bricks of maps and counters. An amazing coda to a difficult effort to orchestrate the delivery of SPI games into the UK! Want to add your errata? Click here!